Can home advantage awaken underachievers Morocco? In little over four months time Morocco will host Africa’s most prestigious tournament: the African Cup of Nations. However, there are significant question marks surrounding whether the Lions of the Atlas possess the credentials to go deep into their own tournament. Having been one of Africa’s earlier developers in regards to footballing prowess – they were the first ever African nation to progress to the last 16 of a World Cup – the last 15 years have seen Morocco left behind by the continent’s elite. In many ways, they are Africa’s sleeping giant. Since reaching the 1998 World Cup, a tournament which saw them only narrowly miss out on the second round, Morocco have for the large part barely threatened to make an appearance at football’s biggest showpiece. At the same time, since the losing 2004 AFCON final to hosts Tunisia, Morocco have failed to progress beyond the group stages at every subsequent tournament they have qualified for. Underlining their AFCON strife is that since that second place showing a decade ago. The North Africans have won just twice in four tournament appearances, whilst in 2010 they suffered the ignominy of failing to even make the finals. Recent history hardly hints at a changing of the tide, with Morocco finishing bottom of their 2013 AFCON group without claiming a win, in what was in reality a less than frightening group – South Africa, Cape Verde and Angola their opponents. Further to that, Morocco were a distinct second the Ivory Coast in the group stage round of qualification for the 2014 World Cup. With all that considered, there is plenty of evidence to fuel Moroccan apprehension. Yet, on paper at least, they boast a squad with the potential to make a significant impact at their home tournament, particularly when accounting for the benefits of familiar conditions. Some of the more noteworthy European options at Morocco’s disposal include Mehdi Benatia, arguably the best defender the continent can offer, Younès Belhanda, Nabil El Zhar and Nordin Amrabat. To counter that, though, personnel wise Morocco have consistently failed to produce performances that equal the sum of their parts. Granted, they can’t boast the luxuries of the likes of Ghana or Ivory Coast, but the squad they took to South Africa in 2013 without question boasted more than enough talent to negotiate the group stage. In regards to competing with the bulk of Africa rather than the continent’s very best, Morocco’s main stumbling block has been moulding talented groups of players into cohesive units. Plenty have tried their hand at bucking that trend – since Henri Michel departed following a five year reign in 2000 no less than 13 coaches have tried their hand at the helm – but the majority though have failed miserably. 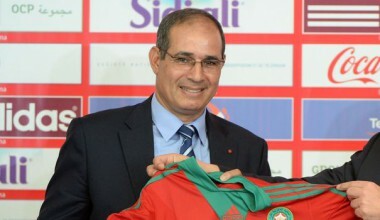 The one exception, however ,is Badou Ezzaki, who between 2002 and 2005 led the Atlas Lions to that earlier mentioned 2004 AFCON runners-up slot and to the closest they have come to appearing at a World Cup since their last appearance – missing out to Tunisia by just a single point in pursuit of a spot at Germany 2006. It is perhaps therefore unsurprising that after a persistent run of disappointments the Moroccan hierarchy returned to Ezzaki, the man who also kept goal during Morocco’s most famous footballing chapter in Mexico 1986. Few men in Moroccan football can boast such a legacy, if any, therefore commanding respect should not be a problem, whilst in theory relating to the Moroccan psyche will be a non issue. Those are amongst the most substantial reasons in relation to why Ezzaki was favoured over a foreign appointment. In spite of the clear positives, there are concerns. The most noteworthy being that Ezzaki’s recent managerial exploits are mixed at best , although that he has been in almost continuous employment domestically over the last decade should mean he is at least well versed in the modern game. Home advantage certainly gives Ezzaki a hugely advantageous tool to utilise – the last two AFCONs held in North Africa have been won by the hosts. Nevertheless, both Algeria and Egypt should also both be well accustomed to the conditions. That edge will arguably see the Algerians go to Morocco as favourites with their young team only likely to be enhanced by their Brazilian adventure. Like Algeria, Morocco have in recent years cast their net wide in search of eligible talent, utilising immigrant communities across Europe to identify players whom whilst born outside Morocco are qualified to represent the nation courtesy of ancestry. It has become the norm in modern day Moroccan squads, as is the case with many African nations, that the ratio of European born players significantly outweighs those who are completely home grown. The vast proportion of those dual nationals originally residing in either France, Belgium or the Netherlands. Of Morocco’s most recognisable talent, almost all are of European birth – Belhanda and Benatia just two examples of that with the pair learning their trade in France. This multi-cultural makeup means the landscape has changed significantly since Ezzaki’s previous reign. In many ways, moulding a functioning cohesive unit is more testing now than it has ever been accounting for the varying cultures involved. Algeria though have proved gelling an effective collective from those widely residing resources is far from unattainable. There is nothing to suggest that Morocco don’t have the capability to make a substantial splash in 2015 , particularly if the draw is kind. However, it is imperative that expectations are kept under wraps. Accounting their recent plight first and foremost, Ezzaki’s remit should be to make the last eight – something they have not done in five tournaments. Anything past that stage should be considered a bonus. This article was written by Matt Carter. You can follow him on Twitter.